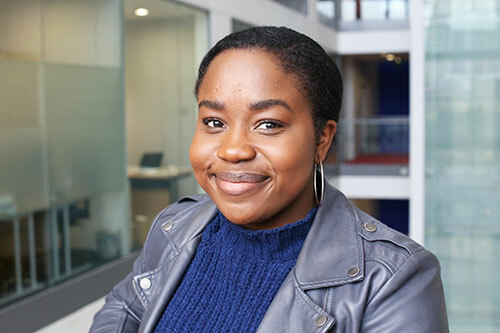 Mikaela is a BSc Criminology and Sociology graduate who applied to City as she wanted a course which combined practical learning with theory. I applied to City because the degree I wanted to study was a BSc and requires more practical learning than theory. It also allows me to include other social science subjects such as economics and philosophy and see how it relates to society and my degree. The most important resources for me that shaped my decision was the Applicant Days, this allowed me to see first-hand what the degree will consist of and I was able to hear from students studying the course, how they feel about the degree and how beneficial it is to study such a degree at City. My favourite thing about studying at City was that I was in the centre of London and studied a course that allowed me to draw on all resources that are in my reach, for example I am able to attend the most known crown court for research. I have had the opportunity to do the Professional Mentoring Scheme with a senior executive at HM Civil Service and work experience doing presentations and rewriting policy files in regards to topics of counter terrorism and education. A top tip will be to read what the degree entails for every year. Look at the modules studied, the common assessment done within these modules and how the degree can link to your future career.